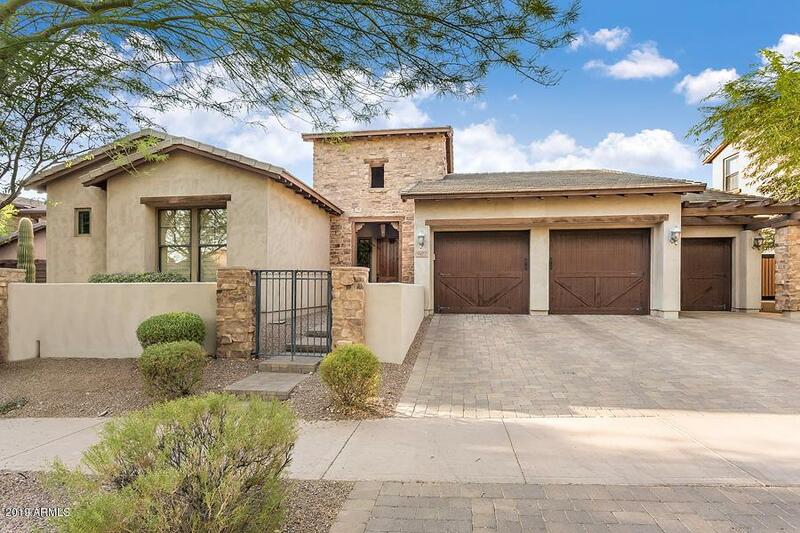 In the sought after gated Haciendas @ DC Ranch community, this home boasts 3,580sqft, 3bed+den, & 3.5 baths all located on a North/South exposed lot. 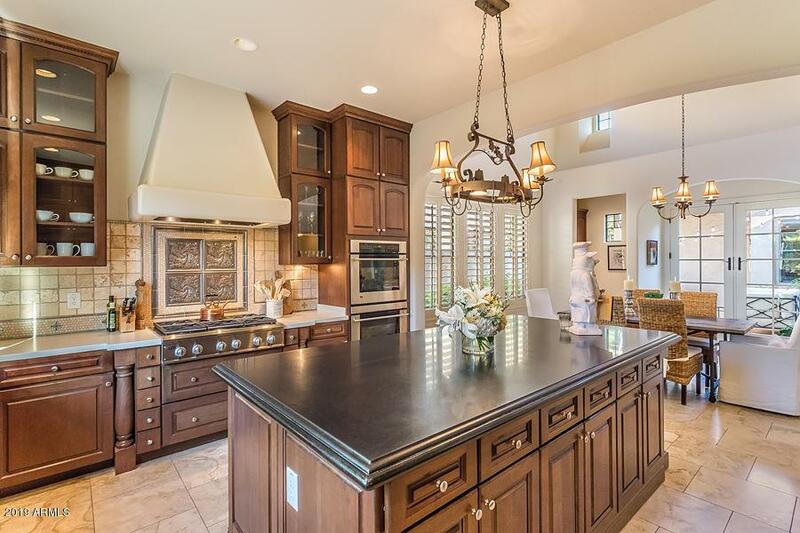 Gourmet kitchen incorporates SS Monogram appliances, 6 burner gas cooktop w/ custom hood, stunning quartz c-tops, decorative inlay backsplash, custom floor to ceiling cabinets, & a huge center island. Master bath has walk-in travertine shower, oversized soaking tub, his/hers vanities, & a separate water closet. 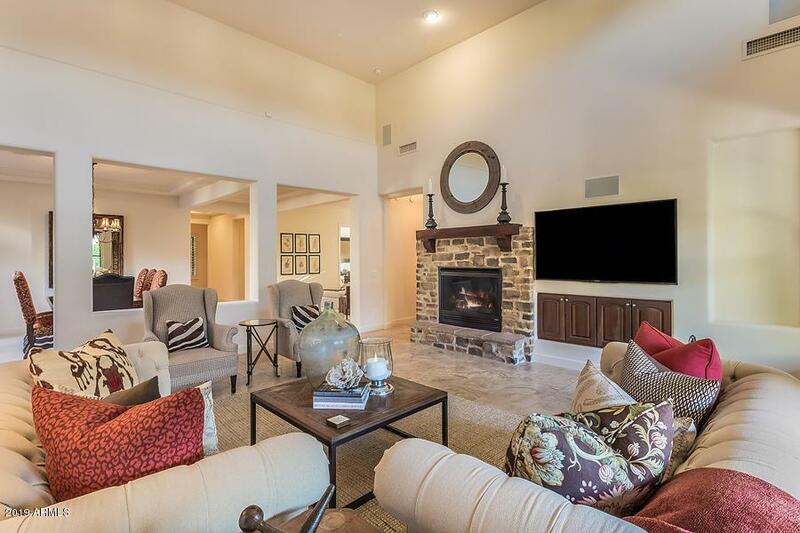 Private covered patio w/ custom flagstone leads to heated pool w/ spill over spa & built-in gas BBQ. 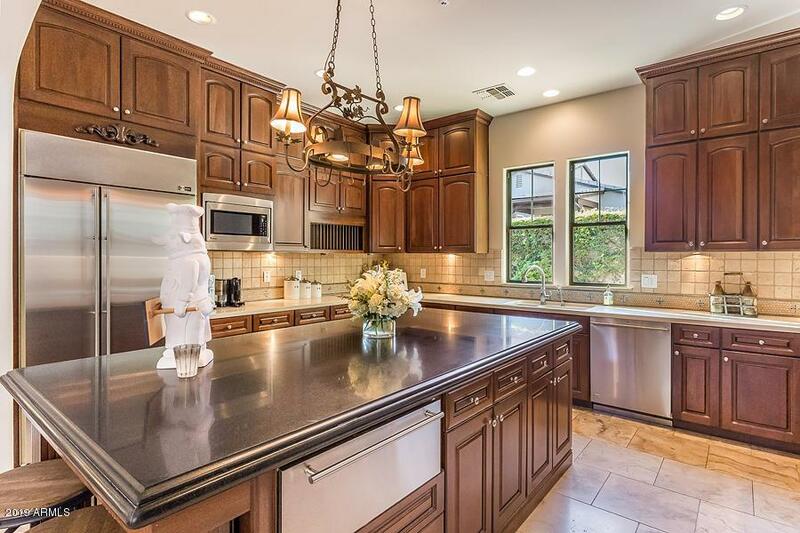 The prestigious DC Ranch community embodies secure gated entry, private park w/ play area, world glass golf course, exclusive country club, & endless upscale shopping/dining.